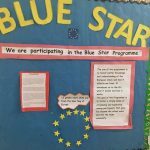 Our school took part in the Blue Star Programme again this year and we were awarded a new EU flag and certificate for our participation. 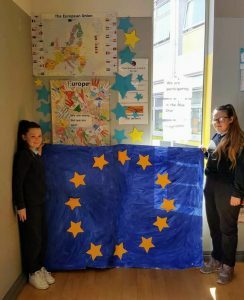 We kept it small this year and Ms Brett’s 6th class completed the project. The programme aims to give everyone a better understanding and knowledge of the European Union and how it affects us as Irish citizens through classroom projects and activities. 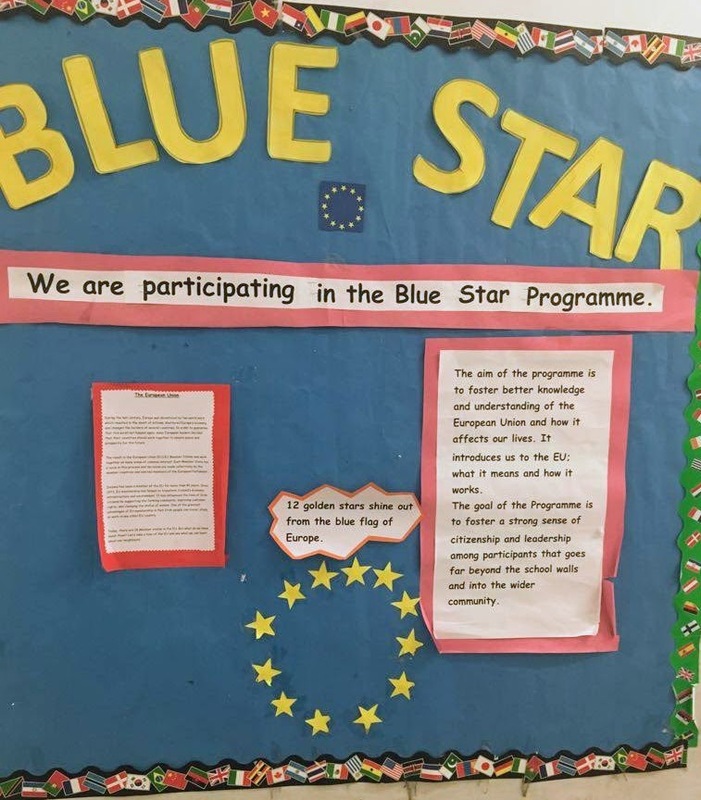 The Children have worked really hard learning about European composers, artists, writers, history and projects on EU countries as part of our international day celebrations. Ms. Tighe and Ms. Brett would like to thank all the boys & girls and we hope to run the Blue Star again next year.